In August 1947, India won Independence. At the same time, many families were torn apart and lost their homes forever in the trauma of Partition. Much has been documented about the Punjab Partition experience – but the Sindhis have never spoken. The generation of Sindhis uprooted by Partition was so focussed on succeeding in their new (and often resentful) environment that they did not have the comfort or confidence to pass on their heritage and memories, many painful, to their children. 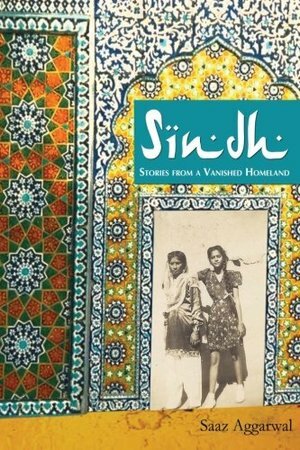 Sindh: Stories from a Vanished Homeland takes us into Sindh – its history, its beauty, different aspects of its culture and traditions, long-forgotten essential facts about Sindhi-ness. Using childhood memories, it reconstructs life in Sindh before and during Partition. While it’s basically a tribute to the community for moving forward in difficult times, leaving behind their cultural heritage to make new lives for themselves – it’s also a wake-up call to the Sindhi community that says, hey, enough time has passed; you can look back without those feelings of hostility and betrayal, to see who you are and where you came from.